What Kind of Rocks Are Used to Make Statues? Ancient builders recognized the value of building with stone. Whether you look five thousand years into history or a mere two hundred, architects who have used stone as a medium have routinely seen their buildings outlast them. 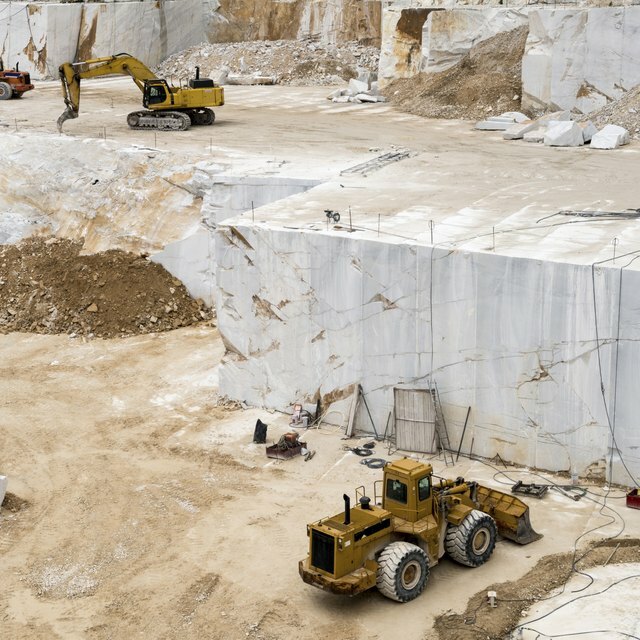 Stones like limestone and sandstone were used in the past because they are easily cut from the ground. Harder stones, like granite, are more common today and are able to withstand weathering for longer periods. Granite is a common igneous rock found throughout the earth. It is composed mainly of feldspar and quartz with smaller amounts of additional minerals. Granite is used because it resists weathering and abrasion; it bears significant weight and can be polished to a shine. According to the Wesleyan University Geology Department, granite has been used in building monuments since the great pyramid at Giza was lined with large blocks of it. It has been mined since the 19th century in the Americas. 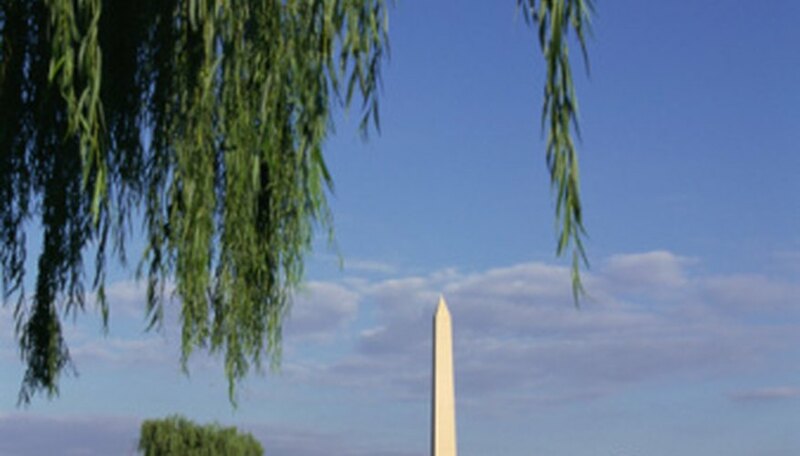 The Washington Monument in Washington D.C. is largely composed of granite. Many Greek and Roman architects used marble as a building medium, according to Granite Land. Marble comes in a vast variety of colors with intricate patterns. 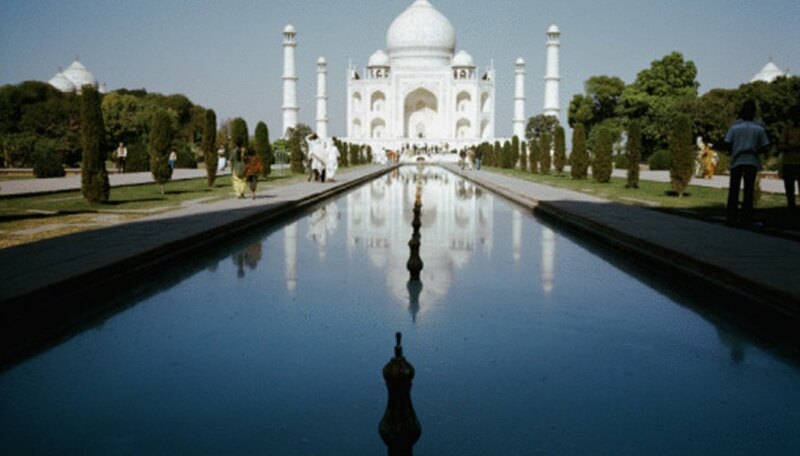 The Taj Mahal in India is built with polished white marble. According to Indian legend, Shah Jahan was planning to built a matching Taj Mahal across the river made of black marble. Marble is made from the metamorphosis of limestone or dolostone. The purer the limestone, the whiter the marble will be. During metamorphosis, the minerals re-crystallize to form a stronger, denser stone. 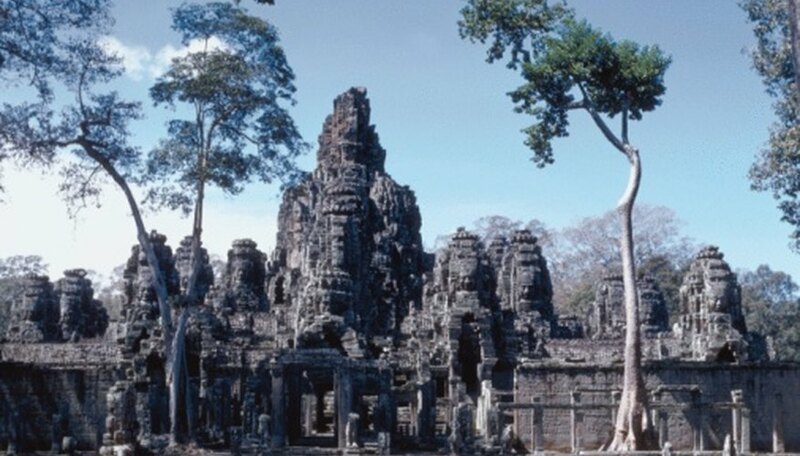 The world’s most ancient monuments are made of limestone. 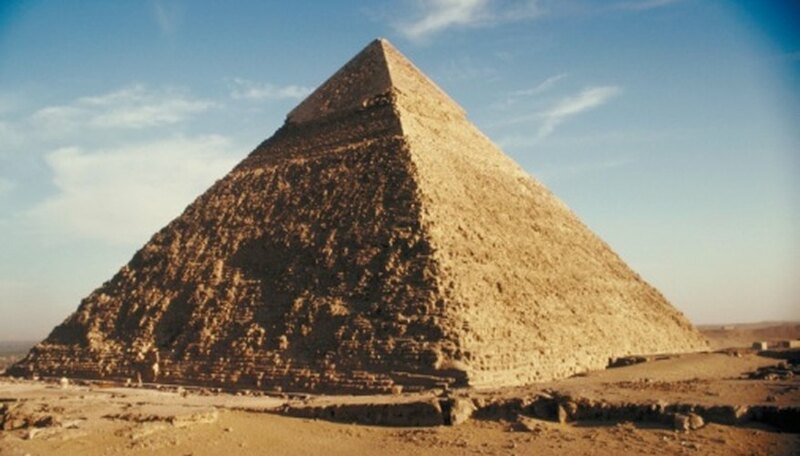 The pyramids at Giza were built of limestone blocks surrounded by a layer of granite. The Roman Colosseum was built using limestone. It is a sedimentary stone composed of fossilized organic sea creatures like clams, corals, brachiopods and bryozoans. Limestone is soft, easily cut and carved and widely available which is why many ancient people used it. It is particularly susceptible to weathering and will erode when exposed to water and wind. This is probably why the pyramids were lined with granite, a harder casing stone. Erickson, Michaelyn. "Type of Stone Used to Make Monuments." Sciencing, https://sciencing.com/type-stone-used-make-monuments-8219343.html. 20 April 2018.